You may think that your attempt to club muscle gain and Indian vegetarian foods for bodybuilding together is an unrealistic approach that will always meet with failure. The most common thought is that Muscle gain is supported by protein intake and the richest sources of protein are only found in non-vegetarian diets. This is a myth that may be ruling the minds of the aspiring Indian bodybuilders , The Stallone and Schwarzenegger of today’s India. Can there really be some Indian vegetarian foods for bodybuilding that would support your muscle gain efforts? Seems a bit unrealistic, but yes, it’s true. The success of your muscle building efforts does not only depend on protein intake, but also on the consumption of appropriate quantities of other nutrients including vitamins, carbs, healthy fats, and minerals. Milk has a unique protein profile with whey protein and casein protein constituting 20 percent and 80 percent of the total protein composition, respectively. Whey protein is specially noted for its quality and digestibility and it is one of the most preferred choices of protein supplementation among the world’s top athletes. Casein has a slow digestibility rate that perfectly balances whey’s digestibility rate. When your body uses the whey protein quickly, casein remains to feed your muscles for the next several hours and to maintain a positive nitrogen balance in your body. Additionally, the rich calcium content of milk and dairy products promotes fat loss while strengthening your bones thereby helping you to stay fit for continued workouts. Pre workout ( 30 mins prior to body building exercises). This will enhance Anabolism. Immediately after a work out. that is the time your muscles really crave for nutrition and energy and the absorption level is maximum. When you wake up . your building body needs a lot of protein. if you are an eggitarian , having egg nog is the best . But if you are a vegetarian , don’t be upset , milk will do the needful for you. to enhance the protein levels , you can add 2-3 tsp of skimmed milk powder to your glass of milk. 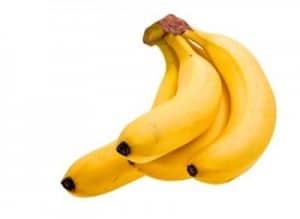 Bananas have high potassium content which prevents conditions, such as bloating and puffiness as well as soreness and cramps of the exercising muscles. These conditions may be experienced during a rigorous workout sessions of bodybuilding. Potassium keeps the body’s glycogen stores refilled and promotes the transportation of protein to the muscles. Make sure that you prefer green bananas over the ripped ones. The best time to take banana for body building is as a pre workout snack . You may be wondering what sweet potato is doing in the list of Indian Vegetarian Foods for Bodybuilding. Sweet potatoes are low-calorie “power house” carbohydrates that will keep your energy levels high during a heavy workout session. Sweet potatoes are a rich source of dietary fibers that are crucial for burning fat, controlling appetite, maintaining the health of the digestive system, and promoting muscle gain. It contains high potassium content that plays a vital role in maintaining electrolyte balance, muscle health, and nerve function during a rigorous workout session. The best time to take sweet potato for body building is as a pre workout snack . Also known as Shatavari or jadi buti, asparagus is noted for its rich folate, fiber, chromium, and vitamins A, C, E, and K content. A storehouse of antioxidants, asparagus has the ability to neutralize free radicals that cause cell damage. Asparagus has high levels of the amino acid called asparagine which promotes the absorption of excessive water and salt in the body and their release through urination. This proves to be useful for bodybuilders who are looking for a “ripped appearance” during competitions. The best time to take asparagus for body building is as a salad, raw or boiled . Eat at least 4-5 times a week for lunch or dinner. Oats are rich sources of healthy carbohydrates and dietary fibers which boost the metabolic rate and promote enhanced performance during a training session. Oats have high levels of vitamin E, folic acid, thiamin, biotin, zinc, and iron which boost muscle healing rate after workout. The best time to take Oats for body building is as a pre workout snack . Nuts contain rich amounts of protein and healthy fats which make them a healthy choice for those looking to gain muscle. Nuts such as cashews and almonds are packed with protein, fats, and fibers which help you maintain extra calories even after tedious workout. Nuts are one of the few healthy snacks that are portable and can be enjoyed any time and at any place. 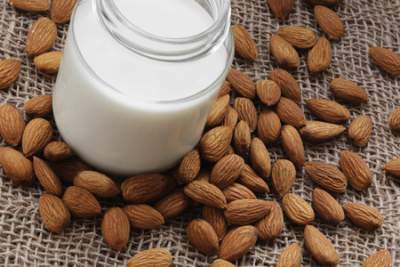 The best time to take Nuts for body building is as a post workout snack and early morning with your milk. Quinoa, which contains all the 9 essential amino acids that the body cannot produce on its own, can be considered as a complete food for muscle growth. Hence it is one of the most prominent in the list of Indian Vegetarian Foods for Bodybuilding. It is a rich source of complex carbohydrates and protein which make it a steady supplier of energy during tedious workout sessions. Research has revealed that quinoa promotes the synthesis of IGF-1, which is a growth hormone that is essential for muscle mass growth and strength. It also contains magnesium, calcium, and iron that support regulation of muscle tone. Quinoa are the seeds of a leafy plant, but can be cooked like rice. The best time to take quinoa for body building is as a pre workout snack or for your main meal (breakfast , lunch or dinner). Beans and legumes form a very important part of Indian Vegetarian Foods for Bodybuilding. Beans improve bowel movement and boost insulin response which impacts muscle growth positively by increasing the body’s ability to absorb nutrients. You may enjoy a wholesome meal by combining beans with brown rice or may enjoy a healthy salad that contains a generous serving of chickpeas. The best time to take Legumes for body building is anytime through out the day. 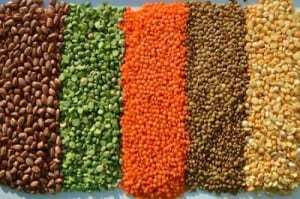 As a body Builders diet is dominant is Protein , Legumes are the best vegetarian source of protein , it is advisable to consume variety of legumes through out the day in different forms in all the meals. 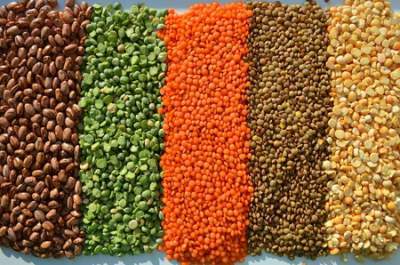 Here are the details of protein content of some legumes. Tofu is an alternative for high-protein non-vegetarian food items. A rich source of isoflavones and amino acids, tofu is noted for its ability to promote muscle growth. Besides, tofu also promotes fast recovery of sore muscles and tissues after a strenuous workout. The best time to take tofu for body building is as a post workout snack or Post work out meal. Seems yummy? Isn’t it? 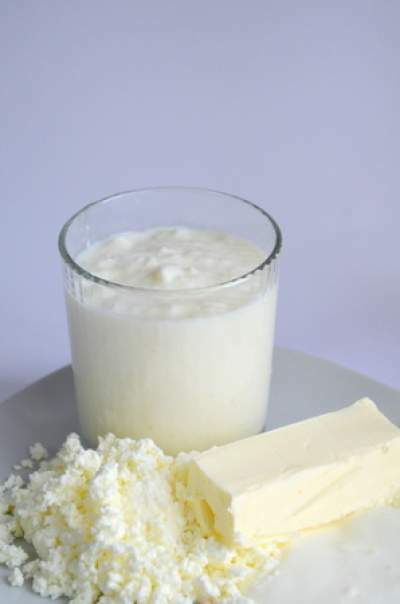 Full-fat cottage cheese or paneer is one of the tastiest options for most vegans. Cottage cheese improves lean muscle mass. It contains casein protein that promotes a slow and steady rise in the level of amino acid in the blood. Cottage is packed with live cultures and healthy bacteria which facilitate the breakdown and absorption of nutrients that support muscle gain. The best time to take Paneer for body building is any time of t he day and specially as a post workout snack. Most people consider protein as the most vital requirement for muscle gain, but the fact remains that a balanced diet that consists of generous servings of leafy greens are crucial to building muscles. Leafy greens, such as romaine lettuce, spinach, and kale, are rich in calcium, vitamins A, B, C, D, and E, and folic acid, which enhance muscle concentration, reduce inflammation, and neutralize the harmful effects of free radicals. The antioxidants boost muscle recovery and this, in turn, supports your bodybuilding efforts. The best time to take Green leafy vegetables for body building is any time during the day. Many bodybuilders prefer not to include fruits in their diet due to the high fructose content present in most fruits. However, certain fruits such as bananas, apples, and cantaloupes, are essential for muscle gain. The carbohydrates, minerals, vitamins, and fiber present in these fruits contribute to an increase in lean muscle mass. The best time to take fruits for body building is as mid meal snacks. A muscle building diet should necessarily be a diet that contains seeds. Flax seeds, sunflower seeds, sesame seeds, and chia seeds are rich sources of essential fatty acids, fiber, and protein. The essential fatty acids aid in tissue recovery after workout and reduce inflammation. You may sprinkle these seeds in salads, curries, or smooothies. The best time to take seeds for body building is as a pre and post workout snack . These seeds can also be consumed early in the morning on empty stomach or as mid meal snacks. With rice being the most vital component of an Indian diet, it often becomes difficult for many people to compromise on rice intake. People who are looking to build muscles may consider including brown rice in their diet. Brown rice contains complex carbohydrates that have a slow digestibility rate which works to ensure a slow release of energy over a long time. Carbohydrates break down into glucose during digestion and glucose provides the maximum energy to drive cell function. At least 50- 60 percent of your daily calorie intake should be facilitated through the consumption of complex carbohydrates. Fermented milk products such as yogurt generate more calories which help you stay energetic during workout. Additionally, such products contain probiotics which aid in digestion and absorption of vital nutrients, thereby providing your muscles more strength to sustain stress. The best time to take Yogurt for body building is as a pre workout snack and mid meal snack. These are the best Indian Vegetarian Foods for Bodybuilding . Sunny Deol or Hrithik Roshan-to-bes who are looking to make a big name in the bodybuilding field should make an informed choice by carefully listening to their bodies. He-man or Hanuman? Lord Hanuman, an epitome of strength, glory, and masculinity, is noted for His 100 percent vegan food habits and discipline. The above mentioned list of Indian Vegetarian Foods for Bodybuilding is worked under the same lines. Devotion and discipline make a man. Your diet, whether vegetarian or non-vegetarian, may be perfect, but you may fail to achieve your objectives if you lack commitment and determination. Hope these Indian Vegetarian Foods for Bodybuilding help you in achieving your target. « Healthy Cooking Ideas for Diwali ! Hello ma’am. Myself Anoop from jammu nd kahmir. I read ur artical dats really helpful to me. I need to ask one thing, how much amount of water should i intake? Secondly, I need to gain bulk as i’m having gud strength. I do my workout regularly but in less amount Nd eat as much as I can but still I’m nt gaining much, nt even much bulk on my body. It’s been very thankful to u if u sort out my problem. Hello, i am 31. normally consume Vegetarian food but i take eggs and can consume sea food if required for diet purpose. my weight is 81.5kg and hight is 5.8′ . i just started exercise for 30-60 min daily. i cannot follow a chart of diet if provided. Looking for your assistance. will be grateful if you can guide me on some diet tips. some specific food that i should consume and what i should avoid. Im Arjit 19yrs old. 6.3ft weighing 87kg.. I need perfect plan for bigger muscles with best spoken supplements. I intake both veg n non veg.. .
Plzzz give a perfect diet plan. Trying for state level bodybuilding championship. I am kind of a skinny fat guy and right now i have joined gym to maintain my fitness. I want to get ripped without having any fats so I wanted a not so expensive diet plan. Will having milk,eggs, banana, chapati and salad will do the trick? If not please suggest me a low maintenance diet plan. Thank you will be waiting for a solution. I read your article about bodybuilding foods and its absolutely right I. M a fitness freak. Since 1995 and have lost 48 kg today I m a mixed martial art instructor and a strength coach and I have just 1 question are Roti’s good for post workout to replace glycogen burned during a workout? I AM 23 YEARS OLD. MY HIGHT IS 5.3″. AND MY WEIGHT IS JUST 43. I HAVE TO GAIN WEIGHT. HOW TO GAIN WEIGHT IN 15 DAYS. I AM DOING JOB AS WELL AS 2ND YEAR ENGINEERING. AND I HAVE TO ASK ONE THING CAN I EAT FRY PANEER. I Am Sanjay want to gain weight trying everything for that but no improvemnt what ever i eat doesnt work on my body help me out and please provide a vegetarian diet plan. Hello my name is Durga Gupta Nd my age 24.I m vegetarian.sp plz let know the main food for after workout for muscles growth. thank you. Hlo Mam I’m Narotam Aggarwal 21year weight 60 My problem is my trainer advise me to eat boiled vegetables nd I think it effect my Tommy nd I’m also vegetarian .I want to do bodybuilding .. please suggest Mam..
2) also, I workout early in the morning . Any pre workout food suggestions? 1] have this early in the morning instead of having at bed time . Nice article, i am 34 year old male. My weight is 67 kgs and my height is 5.7″. I used to weigh around 73kgs a year back. I started my fitness regeime and started running almost 4 kms per day. I come from an vegetrian bhramin family. Now i feel i should target 72 kgs by a six month. 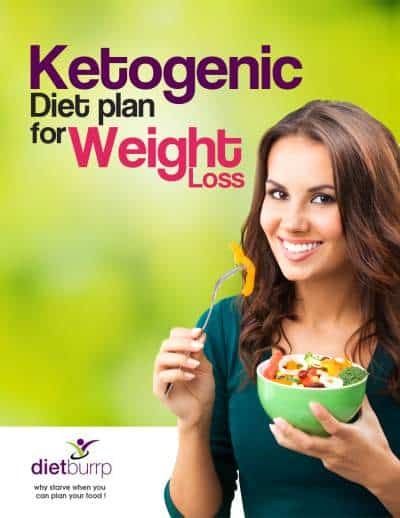 Can you highlight some best possible diet plan for me to gain weight quickly considering my daily workout. 4. BP was 180/90 three years back now it is 135/85 taking AMLONG 2.5 mg with no restricted diet in moderation, morning walk with brief muscles biceps building exercise. need to gain 3 to 4 kg weight pl advice. Hi payal mem ….my age is 26 .. height 5’7 …. weight 71 kg…. I goes to gym daily…I want to build muscles… I’m also non vegetarian please suggest me a best and easy nutrition plan for build muscles. I want to gain weight specifically lean muscles want to develop. My regular diet and activity as below. 07:30am After workout : 300ml Whey protein shake in water and 1 plate sprouts ( Chana and soybeans~ 100g) with jeggre. 1)	500ml coconut milk, banana & date palm milk shake. 4)	Coconut milk, all soaked dry fruits with palm dates milk shake. 12:30pm : Lunch : 1 bowl salad,2 bowl mango/Chickoo/papaya,1 bowl sprouts . 8-9pm : Dinner: 4-5 Roti or bhakhari ,any veg, rice and dal. I m not taking cow milk and curd and eggs. but if require I will think about it. I m following this diet since 20 months, during month 3-5 days I use to take regular lunch ( Roti,veg,dal& rice). During last 12 month with this diet and gym workout my body gain weight almost 8 kg. now since last 6-8 months my weight become constant even though I stated whey protein shake ( muscle blaze) since 1 month. OMG….many people many question…it was really great to see, that you address each and everyone answer…my question is…. Once i have checked my BMI (Body+Mass+Index), as per them my born and muscle mass is very week, and because of that i am unable to lift more weight. 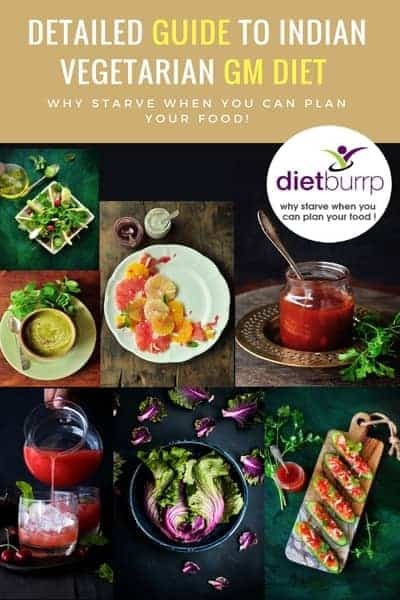 I would request you to please suggest or guide me complete diet plan, what to eat and what time to eat and how much eat. also request you to please suggest how to lose my tummy fat. I want diet plan for weight gaining. my age is 28 running. current weight 32 kg, height 5 fit. I am married women. working as a architect. No baby planning for 1 year . kindly suggest suitable plan. My question is tofu is veg i want full veg diet? And if all these suggestions are veg can i make body like above picture lean with size.? Hi mam.I am a vegetarian.I am 27 years old.heights 5.6 inch.weight 72 kilo.I go to gym 7pm.so could you give me a diet plan for me which is best for shape and gain mussels. Hello ma’am, I am 23 yrs old weight between 45 to 50 kg and height 5’7 and bmi is underweight and seen ur diet plan and will follow it and also doing regular workout, anything else u would like to suggest. start with this , and slowly after a month you can start with protein supplements i you want to build muscles . if you face any issue in following the mentioned diet , do mail me . Hello , I am 20years old and height 174cm, weight 57kg . I see like as weak muscles body. I want grew up our muscles. i am ravi age 30 yr. and weight 58 kg. my body muscles are weak. i want to gain my weight and muscle. please suggest me proper dieit schedule chart. best is to take protein supplements and skimmed milk powder . you can also use paneer and soya if you can arrange . milk is must . I have a concern can someone take fish oil and milk together as it is not advisable to take milk and fish together, and i was thinking to take fish oil for better muscle growth and i also milk and other dairy products for muscle building. please suggest. Hi Gautam , fish poil tablet is extract so there is nothing wrong in taking it. but fish oil tablest are best taken at night or early morning . so you can take the tabs and then take milk after some time. what are your shift and gym timings ? Nice article Maam Well planned and useful. parag you can use the pre and post workout meal as your time permits .. in this case you breakfast will be your post workout meal and its best to have only proteins . Nice article but please note that milk is animal protein. HELLO MAM. I AM FROM SOUTH INDIA AND A VEGETARIAN . WE CONSIDER RICE AS NORMAL FOOD. SO FOR BODY BUILDING SHOULD I STOP EATING NORMAL RICE?? Thank you for reading at Dietburrp . No no , you dont need to stop eating your rice . keep this carb intact , just time it correctly . for ex . you can have rice for lunch and pre workout meal , but avoid it for dinner , dinner has be high in protein. so even if you eat rice for dinner , have little rice and more o soya nugget curry , paneer , dals , sprouts etc … any protein souce . so its about managing . a good diet will never ask you to omit any food item completely .. so eat every thing , but increase the protein as per your body’s requirement . Thanks a lot for helping the community. Article is very informative. I am 44 yrs and a regular at gym with focus on building muscle mass and improving oberall fitness. I go to gym from 7:30 tp 9 Pm. What should I take as a pre and post work meal? Should my breakfast be heavy? i have joined GYM for reducing tummy fat with workout time 7 PM to 8 PM weather i should take protein like Paneer,Milk at Night or I should take in Morning as someone suggest that not to eat heavier food in Night. yes have a light dinner .. and keep the proteins for pre workout . Mene gym 2 month pehle start kiya hai. Nd main 30 min exercise karta hu. Nd other daily activity bhut kam hai. Kya main bhe whey protein le sakta hu. Iska koi bad effect to nahi hoga….? Ofcourse le sakte he . side effects will depend on the quantity of intake of protein powder , 3-4 scoops a day will not harm . After developing age , it is out o our hands to increase height. Everytime when I read the post of your blog i always get good knowledge and i follow the same thing .lots of thanks for giving great and helpful knowlege.